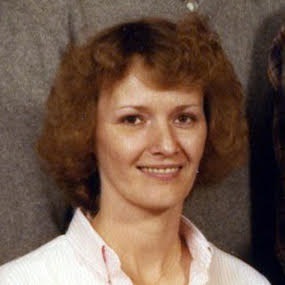 Patti Wright, 71, passed away at home surrounded by her loved ones. Patti was preceded in death by her parents, John, “Jack” and Pat Dinkel, brother, John (Nancy), brother, Jim (Mary Ann), niece, Andrea and nephew, AJ. She is survived by her husband of 50+ years, Mike, son, Michael (Cindy), sister, Mary (Michele), sister, Betsy, brother, Bill (Connie), brother, Joe, and several nieces, nephews, great nephews and great great nieces. Patti will be remembered for her heart of gold, her love of gardening and cooking, saltwater taffy, dancing the calypso, fudge and the Righteous Brothers. She was the St. Francis of Rosedale caring for the many cats and dogs that found their way to their home. Memorial services for Patti will be Monday, April 8, 2019 at 3 pm. in Greiner Funeral Home, 2005 North 13th Street, Terre Haute, Indiana, 47804. A gathering of friends and family will be from 1 pm to service time at the funeral home on Monday. Patti Wright, 71, passed away at home surrounded by her loved ones. Patti was preceded in death by her parents, John, “Jack” and Pat Dinkel, brother, John (Nancy), brother, Jim (Mary Ann), niece, Andrea and nephew, AJ. She is survived by her husband of 50+ years, Mike, son, Michael (Cindy), sister, Mary (Michele), sister, Betsy, brother, Bill (Connie), brother, Joe, and several nieces, nephews, great nephews and great great nieces. Patti will be remembered for her heart of gold, her love of gardening and cooking, saltwater taffy, dancing the calypso, fudge and the Righteous Brothers. She was the St. Francis of Rosedale caring for the many cats and dogs that found their way to their home. Memorial services for Patti will be Monday, April 8, 2019 at 3 pm. in Greiner Funeral Home, 2005 North 13th Street, Terre Haute, Indiana, 47804. A gathering of friends and family will be from 1 pm to service time at the funeral home on Monday. In lieu of flowers, contributions can be made to Great Lakes Hospice, the American Cancer Society or the Humane Society.